Please Read the Discriptions Carefully! Thank you! 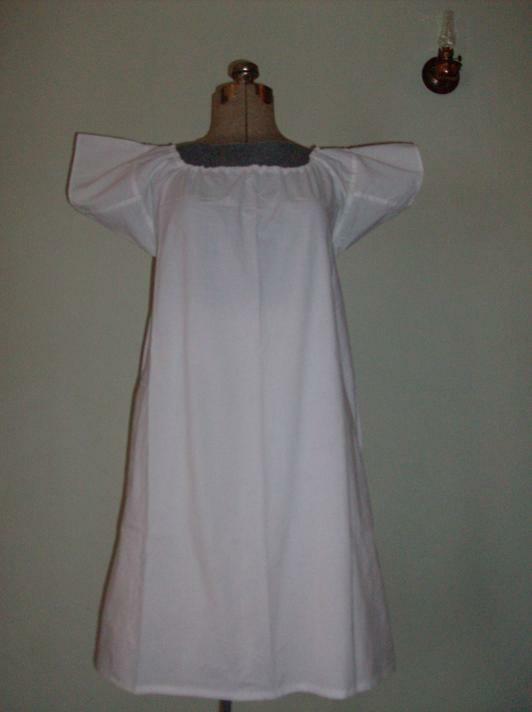 Please give a measurement from waist to where you would like the top ruffle set. Shipping is $6.50 to $17.70 Depending on how many garments ordered. 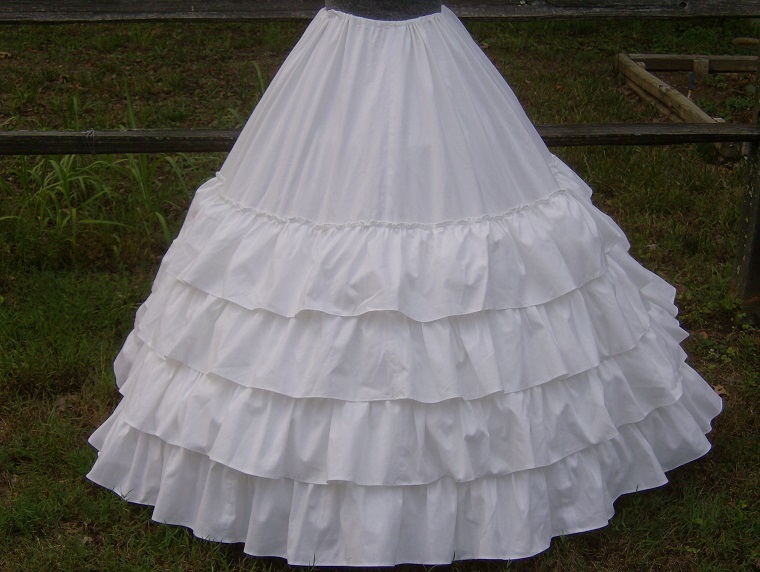 Under hoop or Over/Outer Petticoat with one bottom ruffle. This is an under hoop slip, for those that really feel the need for a slip. It is good to wear even if you do not you wear a hoop. Without a hoop, I suggest this as a highly needed item. 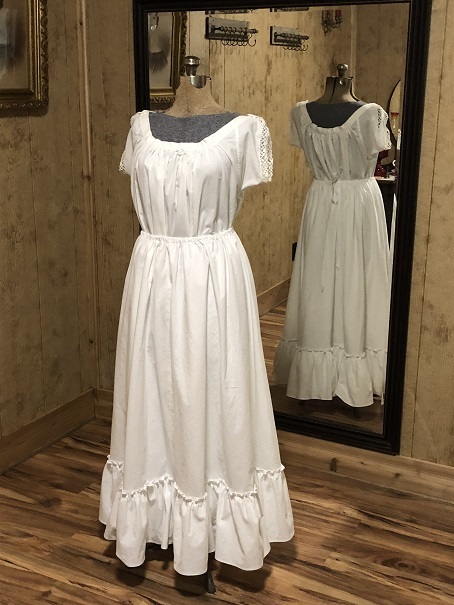 Great for those camp or work dresses. 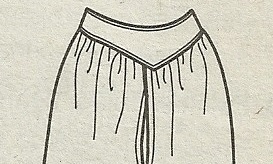 There is a 8" ruffle at bottom of matching material. 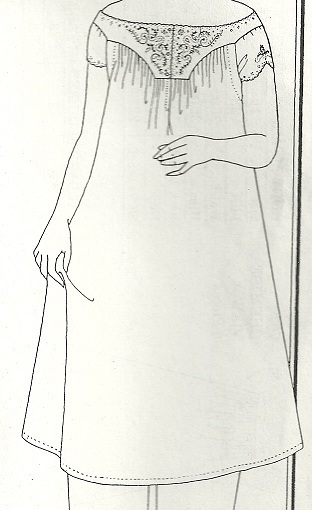 Casing at top with a gorgon ribbon for tying. 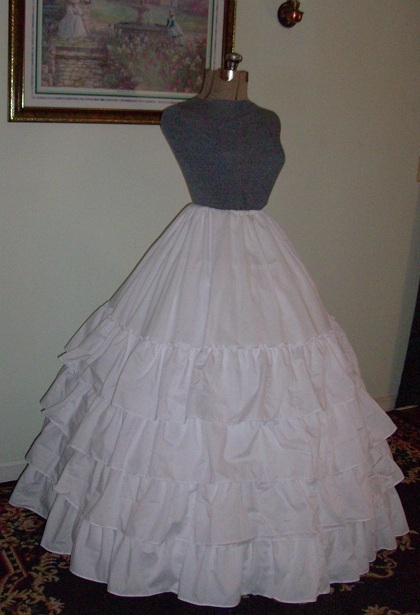 This petticoat is made of 100% cotton. 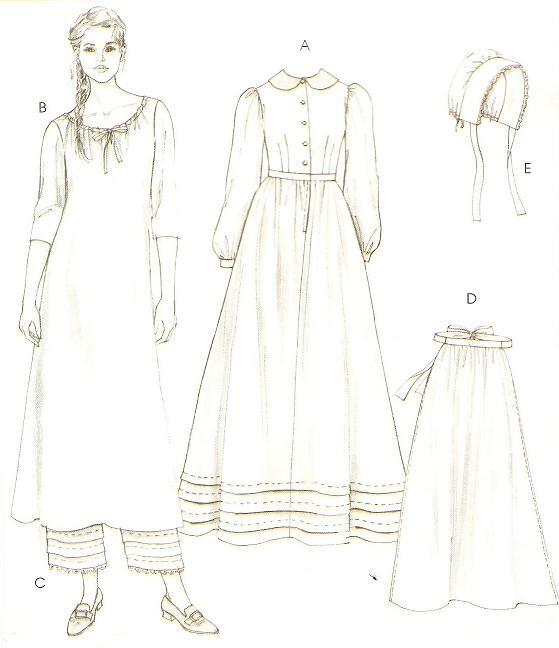 These are not hoops, they are petticoats that are worn over your hoop or as a single petticoat. 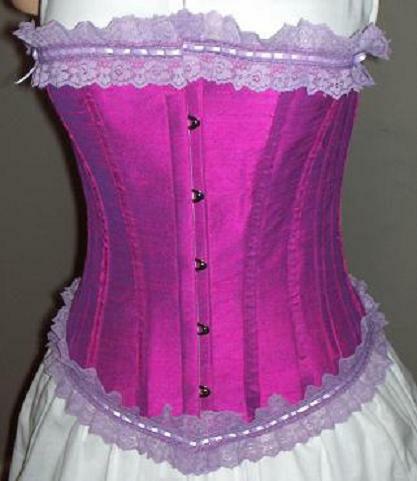 This is a “made to order” and constructed using your given measurements, choices and size, when your order is received. Delivery is 2-4 weeks, depending on how many orders have already been placed or my workload, at the time of your order. Please contact me prior to ordering if you need your item by a specific date, or if you are in need a rush order, . 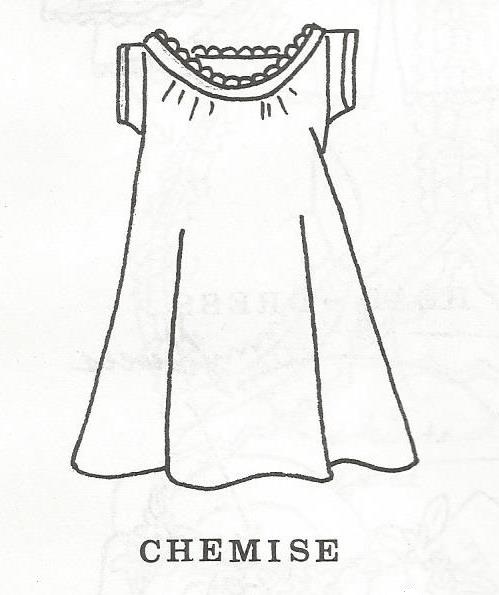 With or without sleeves – No Price change but please state your choice. + $10.00 for 4 tucks or $2.50 for each tuck desired. Be sure to give a color choice for ribbon when ordering. 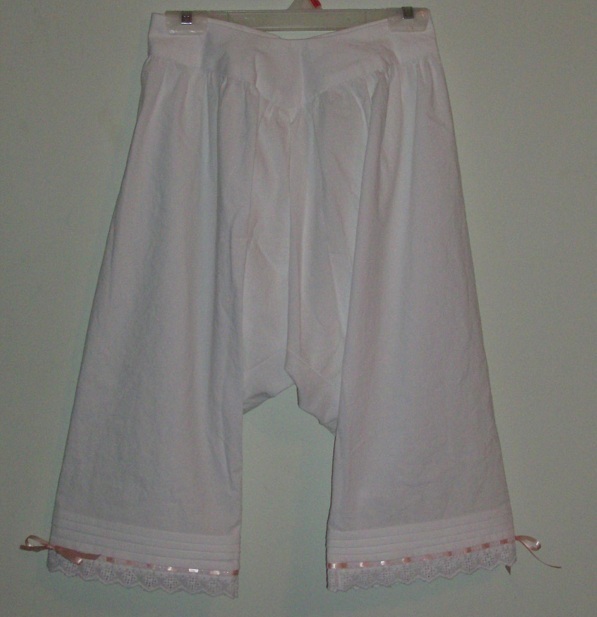 Drawers are made of 100% Cotton in Bleached Muslin. Please allow up to 3 – 6 weeks for delivery. Thank you.